We all know that proper hydration is essential for good health—and for worker safety. 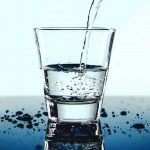 But while the risks of dehydration may be top-of-mind during the hot months of summer, they can easily be overlooked during the cooler months of the year. You don’t feel as thirsty when you’re cold. One study found that exposure to the cold can decrease thirst by up to 40 percent. And when you don’t feel thirsty, you’re less likely to drink the fluids you need to stay hydrated. You’re more likely to miss the signs of dehydration in the winter. Since most of us don’t associate dehydration with cold weather, we don’t take as many precautions as we do in summer and we sometimes overlook critical warning signs. Provide water-based foods to workers as on-the-job snacks. Food can account for as much as 20 percent of our daily water intake. Many fruits and vegetables are at least 75 percent water, such as those listed in this chart. Train supervisors and safety officials on the risks and warning signs of cold-weather dehydration. Proper hydration is a key component of worker safety and productivity and should be a top priority throughout the year—especially in winter. Educate workers about winter dehydration. Teach people how to prevent dehydration both on and off the job. Encourage them to watch out for symptoms of dehydration in themselves and others, even when they least expect it (such as when working in cold conditions). Cold-weather dehydration can easily go unrecognized and unaddressed. But with a few simple steps, you can keep your workers’ health, safety, and productivity at their peak throughout the year.